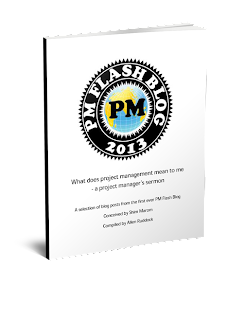 Musings on project management: Is everything scheduled? Have you read the PMBok? Yes? Then you've got Henry Gantt's charts, the critical path, and precedence scheduling down tight. Correct? Read a bit about Taylor and "scientific management". Excellent, then you know that people doing defined tasks are just interchangeable parts, or they were in 1910. How about "The Critical Chain" by Goldratt? Do you understand buffers and milestone protection? Is that a yes? Task sequencing impacts in one-machine scheduling? Parameters for optimizing for Shortest Processing Time? In point of fact, I thought I had a pretty good grip on scheduling until I read Chapter 5 Scheduling in a book I've cited before: "Algorithms to Live By". Authors: Christian and Griffiths. That's where you'll find answers to all this stuff.